For some of us up past midnight pecking away at the computer, apparently life is less than beautiful. satisfaction, but we also ask customers about the consistency of their earwax, the color of their hair, and if they’re extroverted. While our researchers are looking for interesting genetic associations, and studying the genetics behind disease, sometimes they find associations that have nothing to do with genetics at all. Recently, one of our researchers – Emma Pierson, a 22 year-old who’ll be studying computational biology at Oxford as a Rhodes Scholar soon – noticed that those customers up late at night and filling out surveys were different than others who answered surveys in the daytime. Those people who said they were less satisfied with life tended to answer surveys after midnight – 1 a.m. was a particularly low point. This isn’t a cause and effect. This is simply an association between how people answered these specific survey questions and what hour of the day they responded. As any scientist will tell you an association doesn’t imply causation. In other words, if you start staying up late it doesn’t mean you will suddenly feel less satisfied with your life. But the association was numerically significant. Emma tested it to see if the association might be masking another connection. For instance, she noticed that men tended to answer late at night, so could it be that men simply felt less satisfied by life. Emma adjusted for that and found that the association between how you feel about your life and when on a 24 hour clock you filled out the survey doesn’t hinge on whether you are a man or a woman. People who answered between midnight and dawn just didn’t feel as good about life as those who answered at other times. Emma, who also has a blog about statistics called Obsession with Regression, also found several other associations related to when you filled out a survey. People filling out the surveys late were more likely to have said they experienced mania, while those who filled them out during the day were more likely to have children. While we might not want to make rash conclusions about this association, it does beg the question about what is behind it. We know that there are well-established connections between sleep and health. 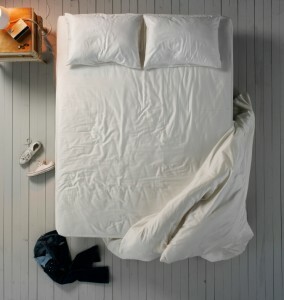 We may all need different amounts of sleep – the average American gets just under seven hours a night. But when we don’t get enough sleep, our health suffers. Lack of sleep is associated with higher blood pressure, as well as increased risks for diabetes and depression. There are new studies that have looked at the evolution of circadian rhythms, and other that have found that continuous sleep is overrated, while snoozing is bad for you. We also know that your genetics may determine whether you’re an early riser or a night owl. So at the very least it’s worth analyzing this association to see what else it might point to. Meanwhile, you should probably get some rest.